Henry S. Alford currently serves as Managing Director and a member of Middleton Reutlinger’s management committee. Mr. Alford’s legal experience is diverse. In addition to his management responsibilities with the firm, Mr. Alford maintains a vigorous transactional and commercial counseling practice, representing a wide range of privately-held and publicly traded companies in business and litigation matters. Mr. Alford has extensive experience counseling companies in their daily business endeavors with shareholders, suppliers, contractors, strategic partners, and customers. In this regard, Mr. Alford often fills the roll of outside general counsel for corporations and their boards or, with respect to larger clients, as an extension of their in-house legal departments in the management of day-to-day business issues. His successful commercial practice is founded on deep understandings of his clients’ businesses, a personal relationship with the management teams to which he reports and on the belief that value-added legal services must be result oriented and lead to the efficient and timely conclusion of the project at hand. Representation of an independent living, assisted living and memory care services company delivering legal services to the corporation and over 120 communities throughout 27 states. Representation of a tobacco products company with manufacturing facilities in the United States and abroad with domestic and international product distribution. Representation of outdoor power tool and equipment company with national distribution through big box retail and direct consumer channels. Mr. Alford is often called upon to support his clients’ procurement, distribution, sales, and supply chain business functions. In these areas, Mr. Alford regularly negotiates contracts for the purchase and sale of goods, services, equipment, and technology, supports his clients’ product and services distribution and sales teams, and assists in the structuring and implementation of rationalized and efficient supply chains. Representation of international tobacco manufacturing firm in all aspects of primary and secondary procurement, manufacturing, distribution, and supply chain. Formation and representation of cooperatives operating as exclusive supply chains for national quick service restaurant brands. Formation and representation of group purchasing organizations and buying groups operating in multiple vertical markets. Mr. Alford’s franchising experience is also deep. In this specialized area of the law, Mr. Alford drafts, reviews and negotiates franchise disclosure documents, franchise agreements and franchise financing arrangements for both franchisors and franchisees. He also has experience in dealing with franchisor-franchisee relations issues and in the franchise regulatory process. Representation of both franchisors and franchisees operating in various national quick service and casual dining restaurant markets. Formation and representation of a large franchise system competing in the basement waterproofing and residential structural repair markets. Formation and representation of franchised group purchasing and procurement organization which negotiates goods, services and equipment supply contracts for its members in multiple industries. Mr. Alford started his career as a commercial litigator. This experience gives Mr. Alford unique insight into the effects of litigation on his business clients and how best to address litigation when the need arises. 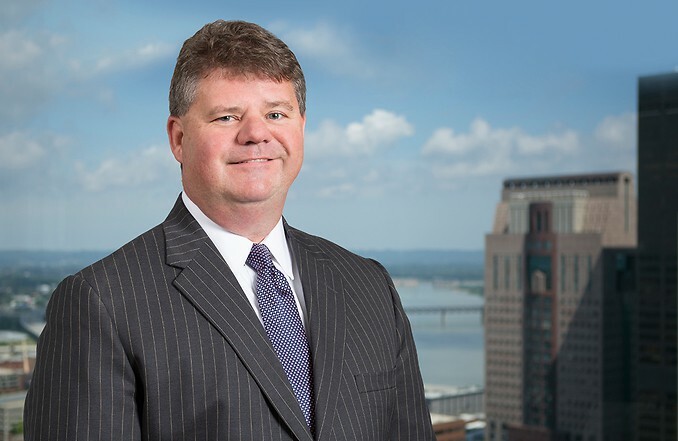 In this area of his practice, Mr. Alford continues to represent and manage litigation matters for privately-held and public clients in complex business litigation before federal and state courts, as well as federal and state administrative agencies. Those matters involve contract and UCC disputes, products liability actions, real estate matters, franchise litigation, regulation, system management, insurance coverage issues, banking and finance matters, and employment cases. Representation and management of litigation matters for national and international tobacco products companies. Representation and management of commercial and consumer litigation matters for a large water utility. Representation of multiple privately-held companies in shareholder disputes and restructurings.